Benitachell is a small village approximately 6 km from the beaches of Javea and Moraira and some distance from its own coast. 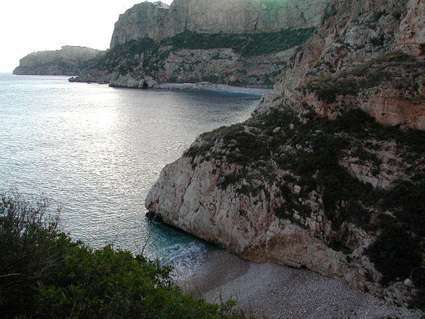 With two coves to choose from, one of which is a naturist beach, the rest of its dramatic coastline is craggy and inaccessible by land. The main village peaks to a small hill and is inhabited mainly by locals. The developments of villas and complexes are built on the outskirts of town, never more than a 10 minute drive to the village. Most have spectacular sea or country views. With no golf club of its own, the Javea Golf Club is just 1 km away and the Benitachell Bowls Club is so well respected that avid bowlers have been known to buy in this area so they can be close to the club. Property prices in Benitachell tend to be on average lower than those of Javea or Moraira because of its slight inland position. However, its close proximity to the coast means that it will take you the same time to get there as someone living in these more populated areas. Benitachell is ideal for those wishing to live near a traditional Spanish village with limited facilities yet with quick access to the coastal towns of Javea and Moraira.